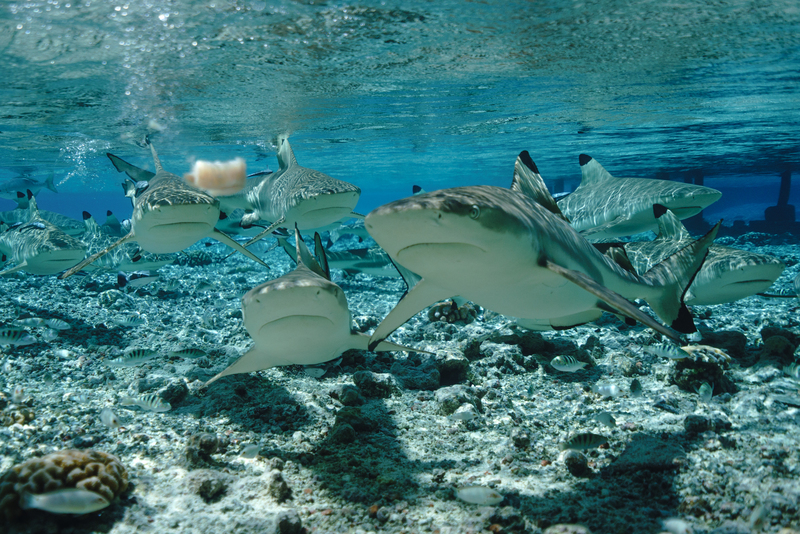 The sharks approach slowly, almost methodically, as you exhale what seems like a thousand bubbles from your scuba tank. These predators are comfortable in their underwater habitat. They hardly notice your presence, aside from the sound of your racing heartbeat. This is the tropical island of Tahiti, a place as enchanting below sea level as it is on dry land. Written by Michael Bonocore – Photography by Michael Bonocore and Luke Hosty of Ocean Culture Life. Located in the South Pacific Ocean, Tahiti is the largest and most populous island in French Polynesia. Faa’a International Airport in Papeete, the nation’s capital, is the only international airport in the country, making the authentic and bustling city a favored base camp for travelers before visiting other islands and atolls. Even with its remote location and small airport, getting to Tahiti is rather simple, as Air Tahiti Nui offers daily flights from Los Angeles for about $1,700 round trip. And with one of the nicest entertainment systems in the airline industry, the flights are indeed comfortable and enjoyable. The most viable option for transportation on the main island is renting a car. Having a vehicle, however, will give you the flexibility to fully explore during day excursions, even if staying in Papeete. The length of the island can be driven in only a few hours, which is crucial to experience all of what it has to offer. Economy class cars can be rented at the airport and cost about $50 to $60 a day. 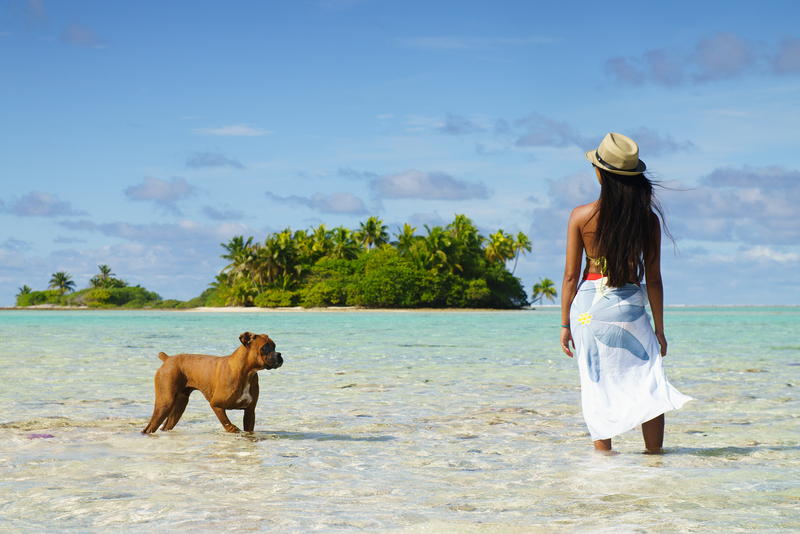 As you may have guessed, Tahiti is home to a tropical climate, so don’t bother bringing a parka. Similarly to most tropics, there are two seasons: wet and dry. The tourism high season runs from May 1 to Oct. 31, carrying the coolest temperatures of the year with 82 degrees Fahrenheit as the average high. The summer season runs from Nov.1 to April 31 with a slightly higher average of 85 degrees. But this is also the most humid season, and with that, comes the rain; an average of 12 inches a month is not uncommon during the summer. Yet this makes it easier to book accommodations and considerably decreases pricing. With just over 130,000 residents, the capital of French Polynesia is small enough to entrench yourself in the local scene without feeling overwhelmed, while urban lifestyles mix fluidly with the ocean culture. One minute, you’re in the downtown district enjoying a succulent fish lunch, and the next, you’re 15 meters deep scuba diving with tiger sharks. If you fear the deep ocean, you can opt to hop on a boat to watch whales and dolphins breach the surface. It is likely you will be met with jets flying closely overhead, as they take off from the shore and head to the airport. There are also countless places to rent a jet ski for some late afternoon exploring, or you can try your hand at “va’a,” a famous type of Polynesian canoe that will help you burn some calories as you work on your tan. Or if your idea of a relaxing trip is simply sitting by the pool and enjoying a cocktail, the resorts along the coast outside the city have got you covered. 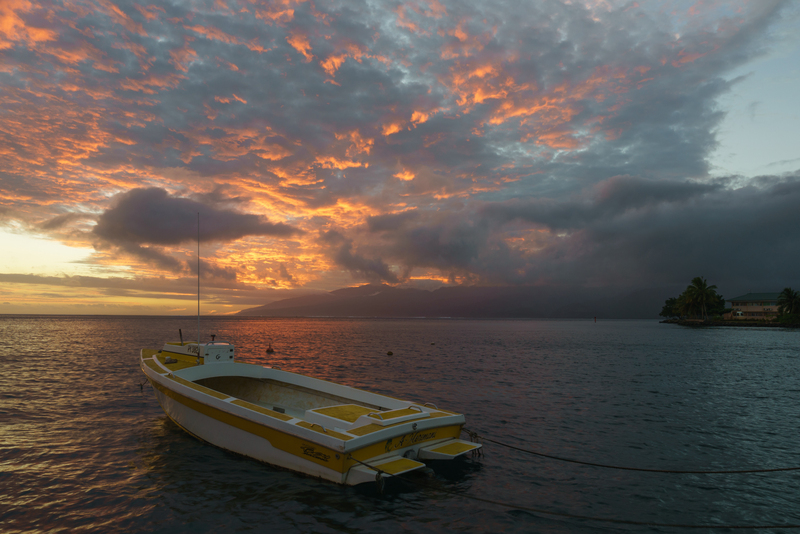 Just don’t forget your camera, as the coastline faces west toward Mo’orea, Tahiti’s imposing and photogenic sister island that makes for an awesome scene as the tropical sun sets on the horizon. 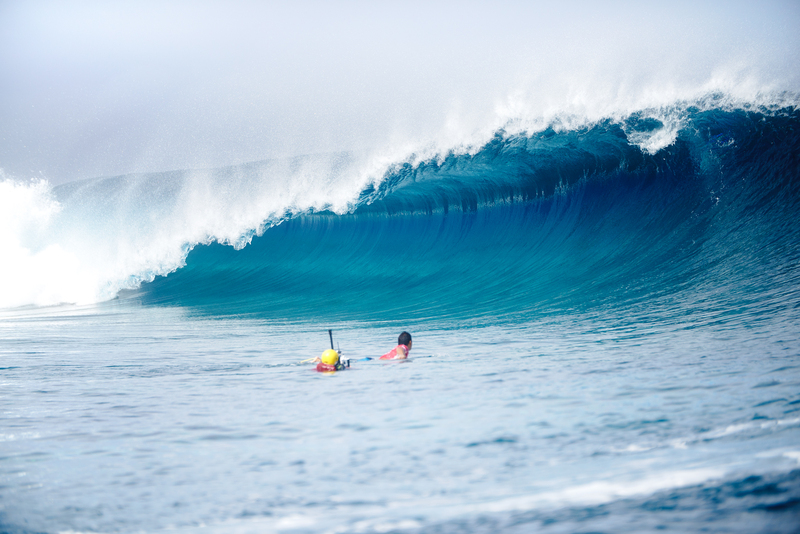 Teahupo’o is home to one of the most coveted surf breaks. 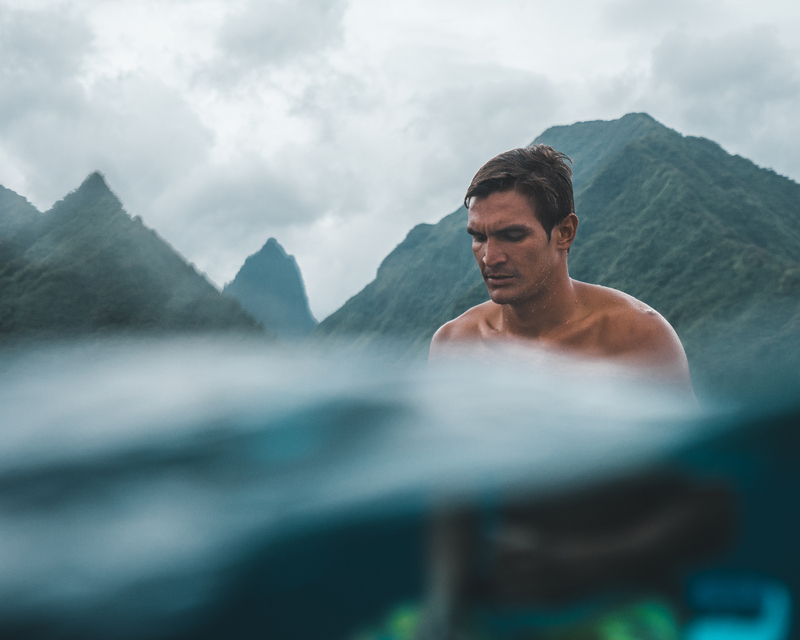 Every August, the world’s best surfers descend on this small village to compete in the Billabong Pro Tahiti, a multi-day tournament and a part of the World Championship Tour. Our team was lucky enough to witness surf legend Kelly Slater bag three perfect 10s on the final day, winning the 2016 event. Since the break is offshore, you need to be on a boat to capture the famous barrel as surfers plow through it. With Tahiti Tourisme, we were onboard the boat of local pro surfer Tikanui Smith, but if you show up early, it’s easy to charter a water taxi from the marina. 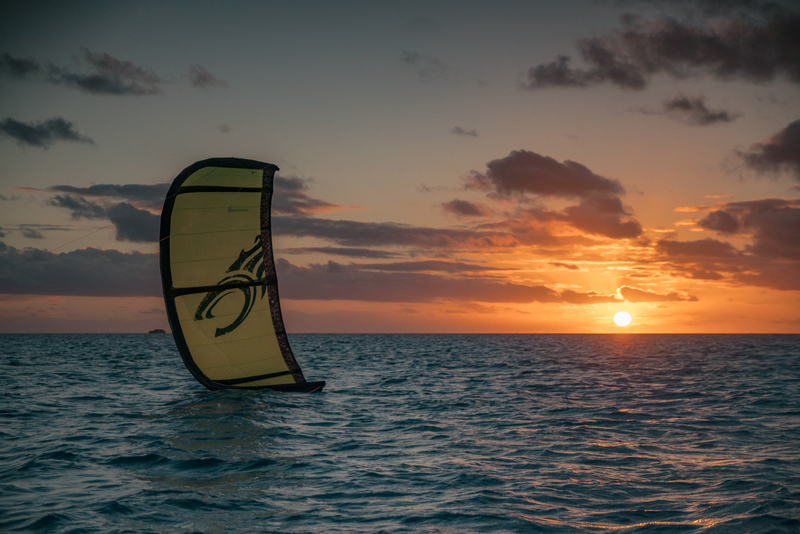 While the event window is almost two weeks long, the break rarely sleeps, so if you happen to be in Papeete, the hour drive is well worth it anytime of the year. 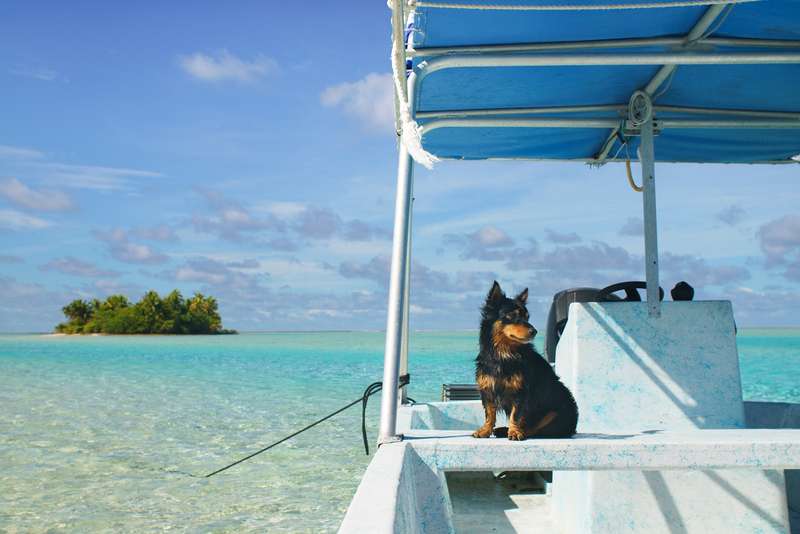 Despite the beauty of Papeete and the surrounding countryside, we decided to take a short getaway to one of Tahiti’s best diving locations: the remote atoll of Fakarava. 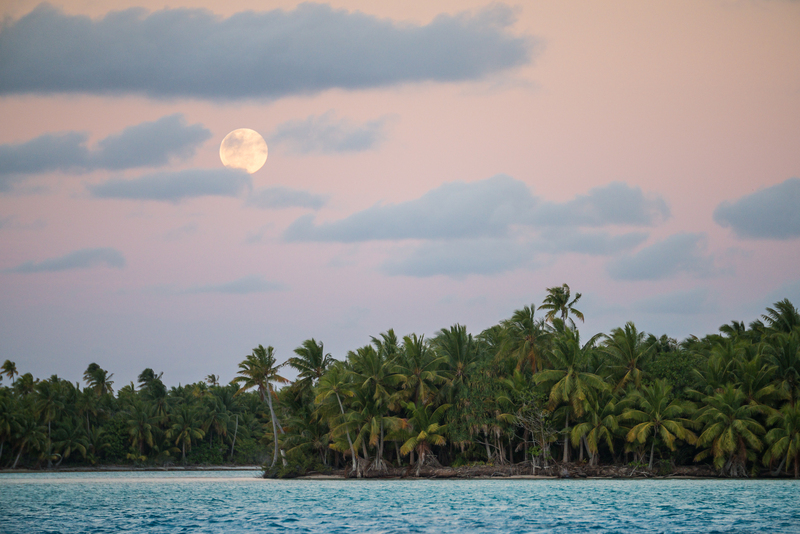 With only 800 inhabitants, it is surely a secluded slice of paradise. 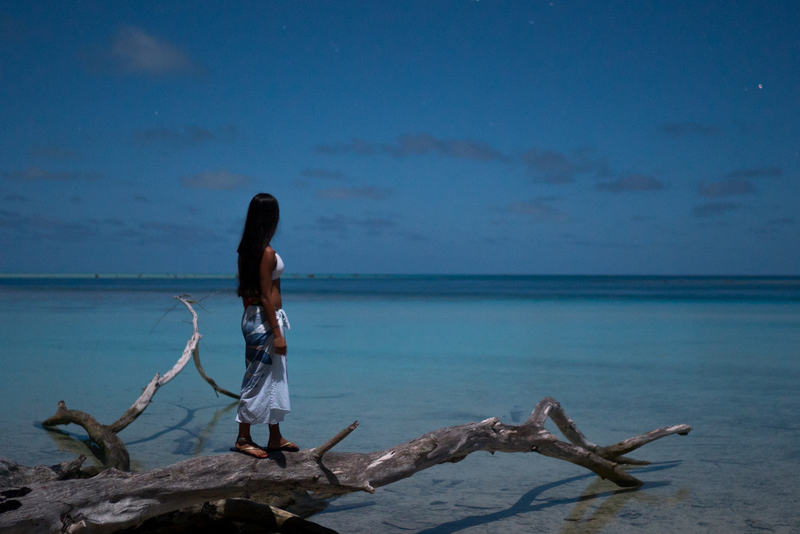 A deep lagoon that’s 37 miles long by 13 miles wide sits in the middle of the atoll. The diving is concentrated at two passes, Passe Garuae in the northwest and Tetamanu in the south, which is where we set up camp after a 90-minute ride from the airport. The village consists of several waterfront bungalows for visitors and interior housing for the locals. 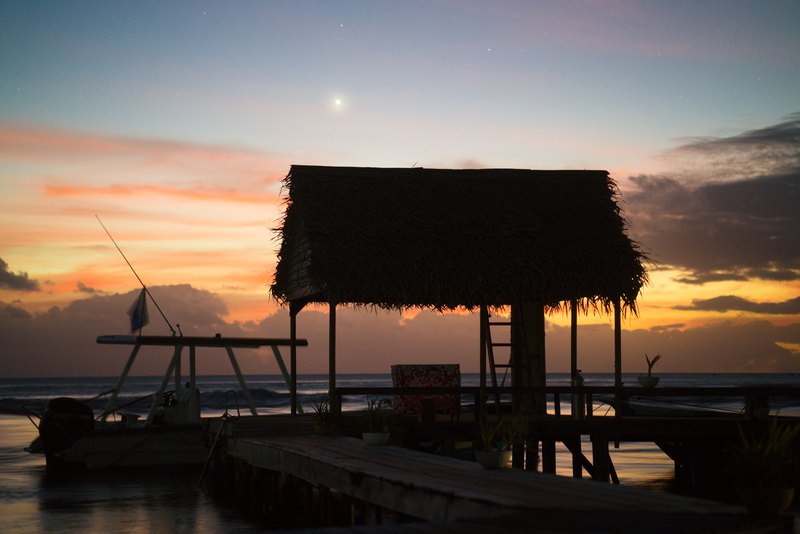 Each day, the local dive master coordinates two dives, leaving guests plenty of time to experience all of the relaxation Tetamanu has to offer. 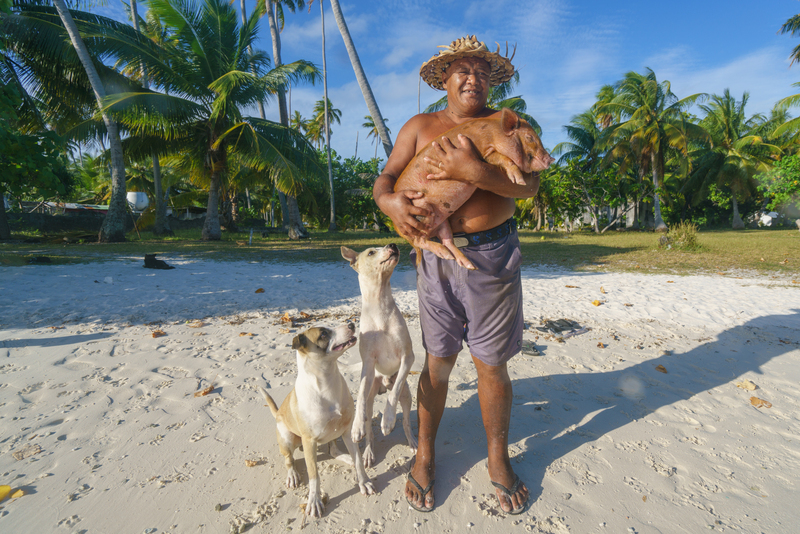 A short boat ride filled with the village dogs will bring you to the Pink Sands Beach, which is backed by hundreds of palm trees. 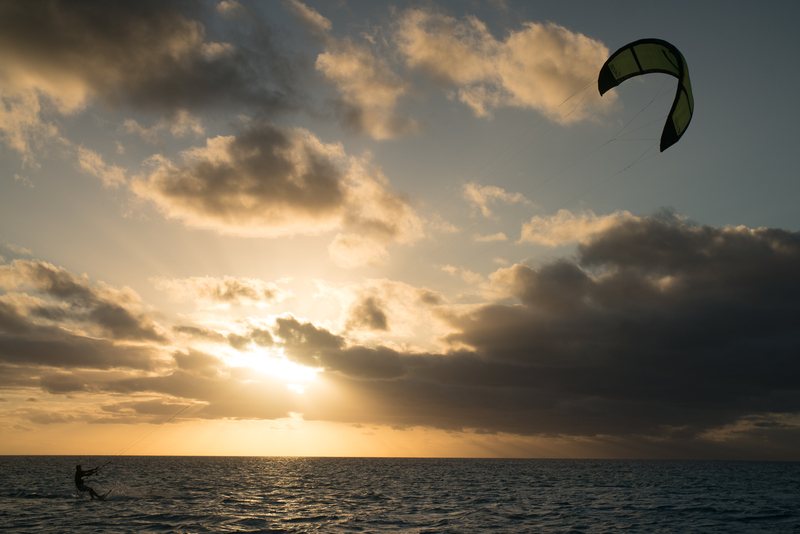 We recommend packing a cooler and leisurely basking in the sun while watching a local kite surfer named Adrien Cartier Millon weave through the anchored offshore catamarans. 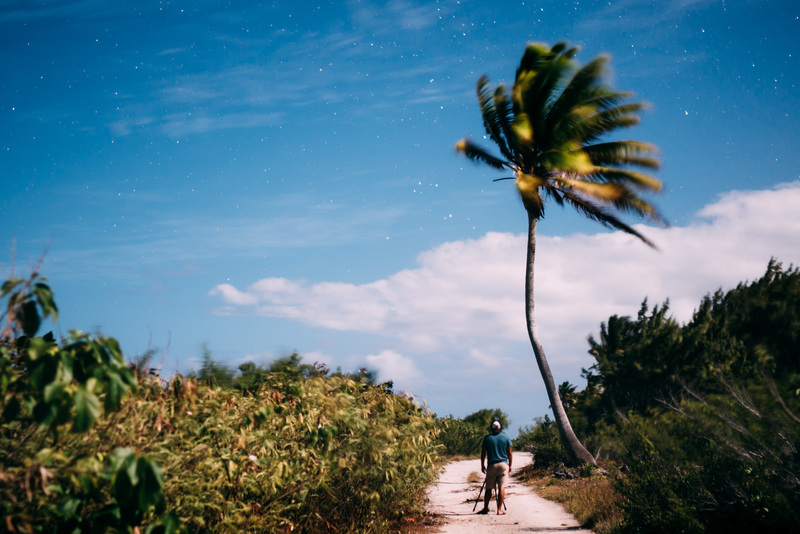 If you’re feeling up to it, you can ask the boat captain take you to see him, or get his contact information from the flyer by dining tables.He will outfit you with some of his gear on a tiny deserted island before teaching you how to get up and ride on your own. Before lunch is served, grab your underwater housing and wade into the shallow waters off the dock nearest the kitchen. This is the perfect spot to get some up close and personal shots of the black tip sharks that continuously swim around the pier. If your schedule is flexible, plan your trip to this magnificent location during a full moon for some truly surreal images. Coupled with the fresh and delicious home-cooked meals of Phineas, the island’s in-house chef, Tetamanu is one of those places that will have you dreaming of your return the moment you depart. If you’ve ever experienced the true meaning of “island time,” you know the term is clichéd for a reason. 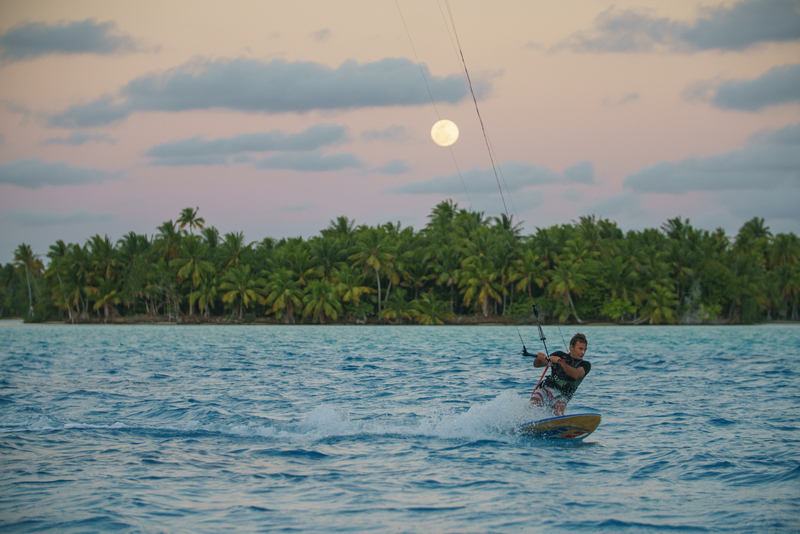 And since French Polynesia is home to 118 islands and atolls, it isn’t just a saying; it’s a way of life. 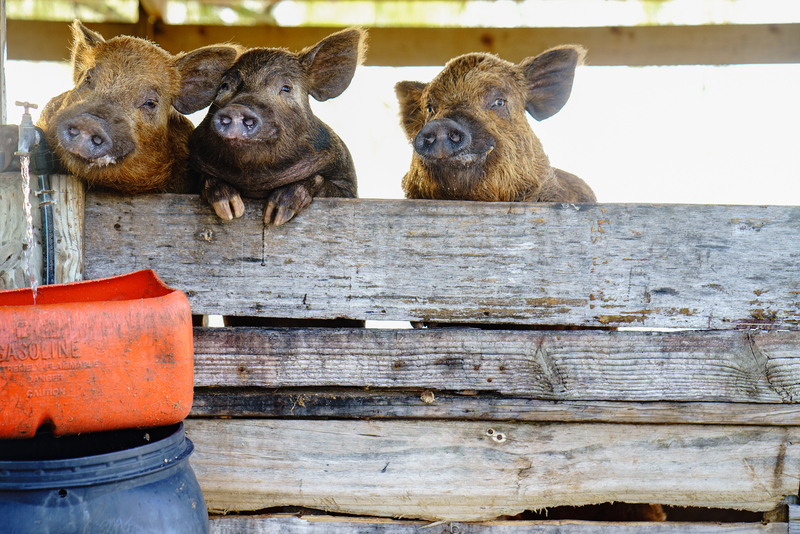 But don’t confuse it with laziness, as it’s more of an unworried lifestyle molded around the happiness of the locals. They understand that they live in a paradise setting, and slowing down is the best way to share in their appreciation for their world. 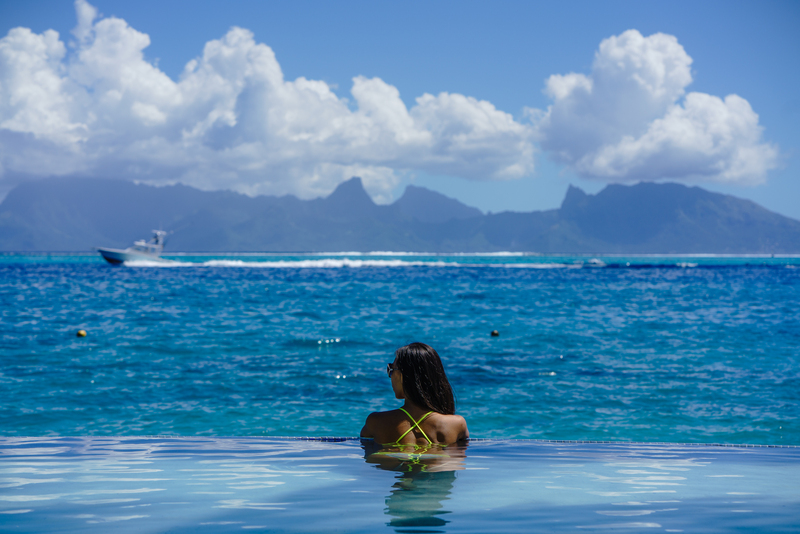 Tahiti has something for everyone, from romantic beaches and overwater bungalows to sunshine and watersports. 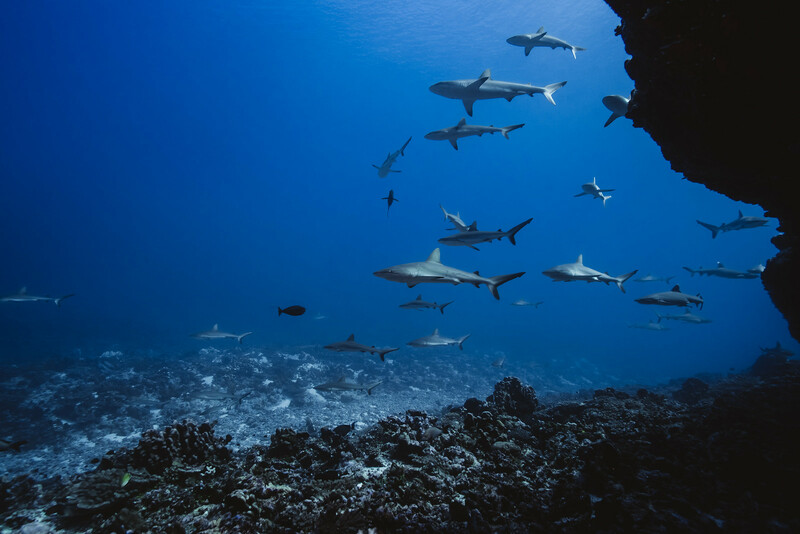 But to maximize your enjoyment, you should consider partaking in what Tahiti is know for above all else: some of the best diving in the world. 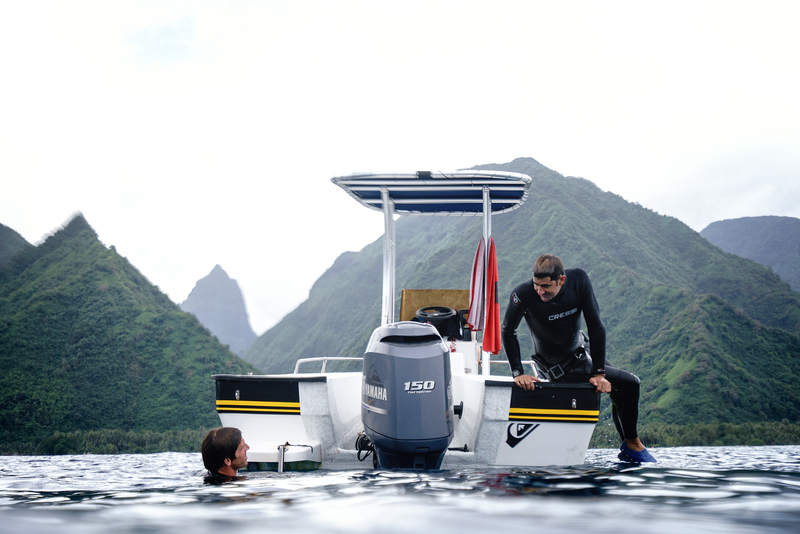 To do so, you will need a PADI certification, which you can get through your local dive shop. You won’t regret putting in the time and effort to learn how to safely enjoy life below the surface. 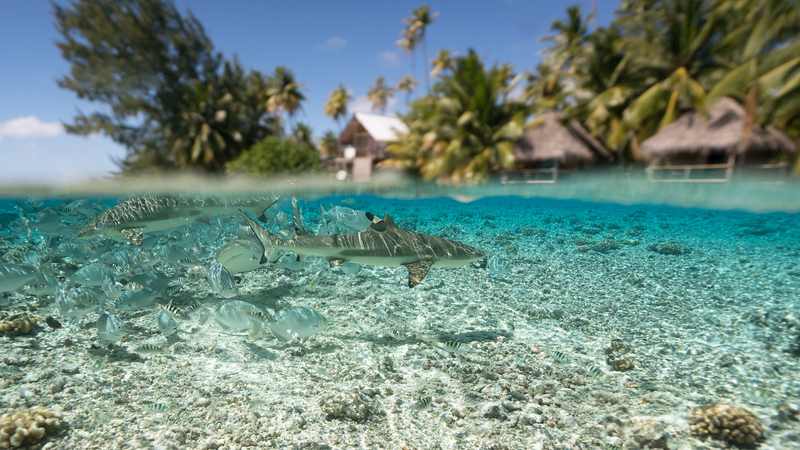 From close encounters with sharks to moonlit palm trees, Tahiti and Fakarava are truly some of the most visually stunning places on the planet. Photographers and filmmakers love capturing the vibrant blues and greens, but all of that excitement will disappear if you lose everything to a catastrophic equipment failure. For this trip, we trusted the rugged G-Technology ev ATC with Thunderbolt and ev RaW SSD for quick importing to our media folders, before backing everything up on the G-SPEED shuttle XL with Thunderbolt. The watertight drive compartment on the lightweight ev ATC gave us peace of mind in the event of an accidental drop in the shallow lagoon. Working fast in such a wet and sandy environment also means mistakes can be made, but it should never result in the loss of your work. So arrive with a plan that ensures your files are safe and secure no matter what happens. 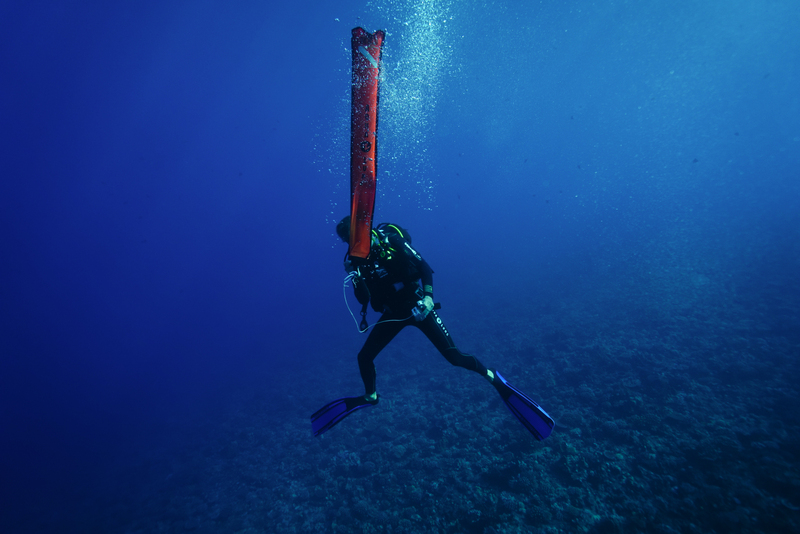 There’s a good chance that much of the photos and video you shoot in French Polynesia will be underwater, even if you decide not to go diving, so it is important to get a solid and trusted underwater housing for your camera. Make sure you know how to set it up and provide routine maintenance during the course of your trip. Test the housing on a daily basis without your camera inside before jumping in with expensive hardware. 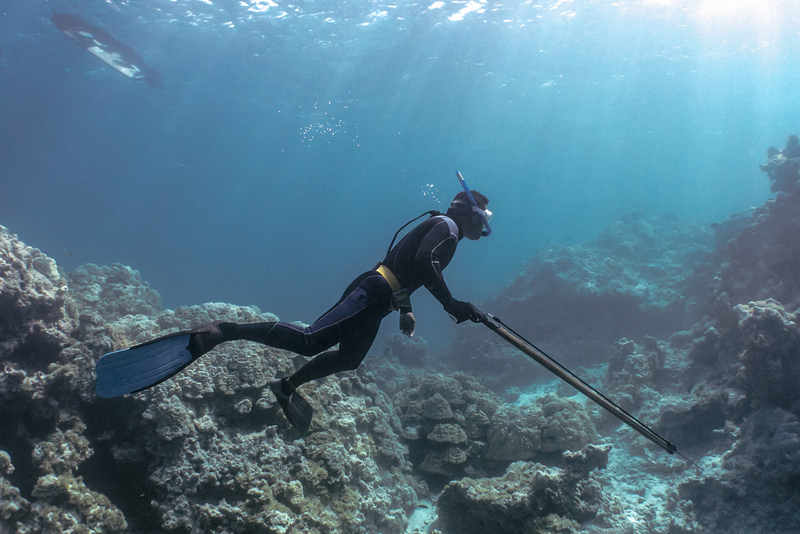 There’s little room for error when it comes to underwater photography, so it’s necessary to be 100 percent comfortable with your housing before putting it to use. French Polynesia is made up of 118 islands and atolls, providing more locations to visit and things to do than you can imagine. Before your trip, determine what’s most important to you and use the extensive online database on Tahiti Tourism to aid in your decision. 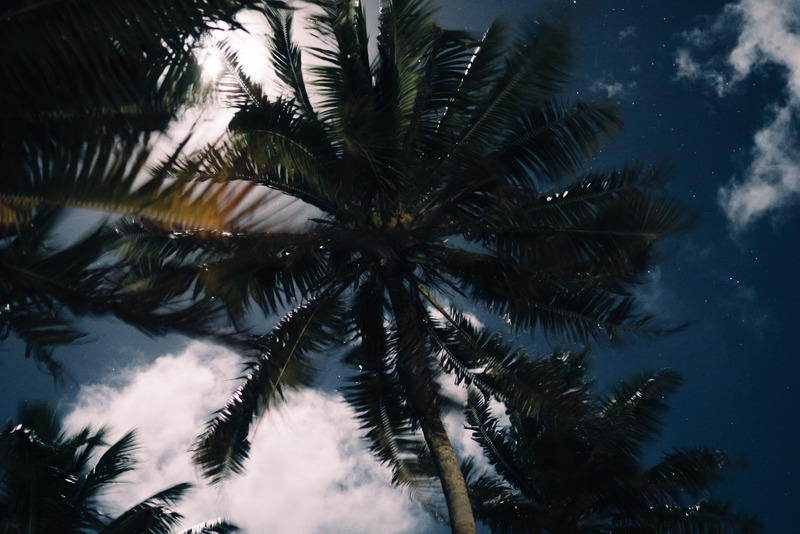 It will help you make your trip unforgettable, although when it comes to this paradise, it’s near impossible to forget no matter the circumstance. 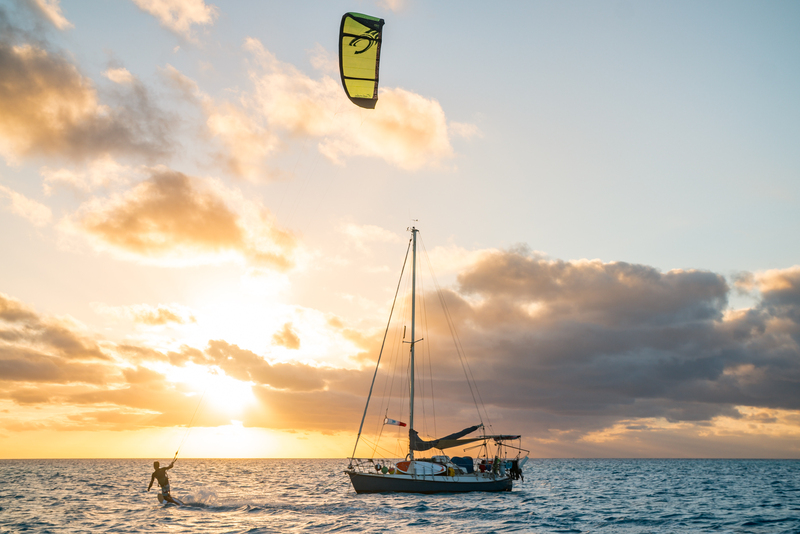 While most photographers will opt to avoid harsh mid-day light, Tahiti and Fakarava will force you to rethink your “only shoot in golden hour” rule. The crystal clear water is at its most stunning and vibrant in midday when the sun shines straight down, making the water an almost blinding bright shade of turquoise. 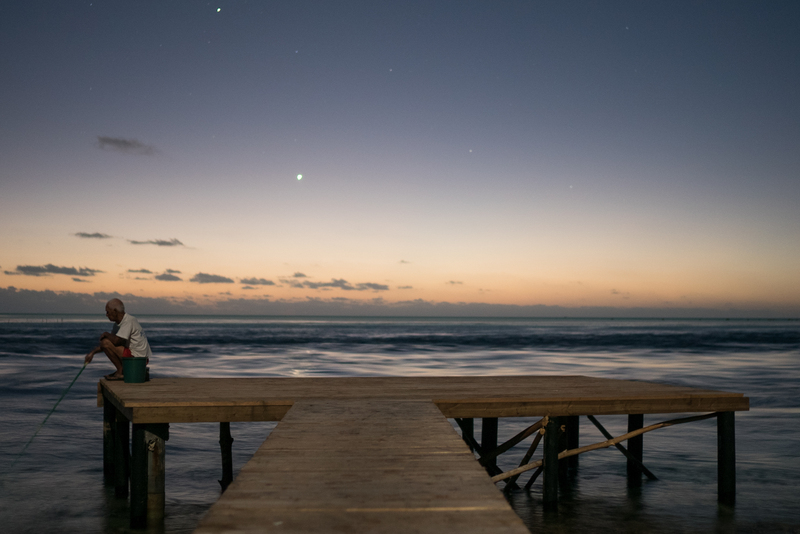 Add in some tranquil sunrises, golden sunsets, and moonlit scenes flanked by thousands of stars, and you will never want to put down your camera. Even though I just explained why it’s difficult to put down your camera, force yourself to do it for at least one prolonged period each day. After all, you are among one of the cleanest, brightest and most beautiful paradises in the world. 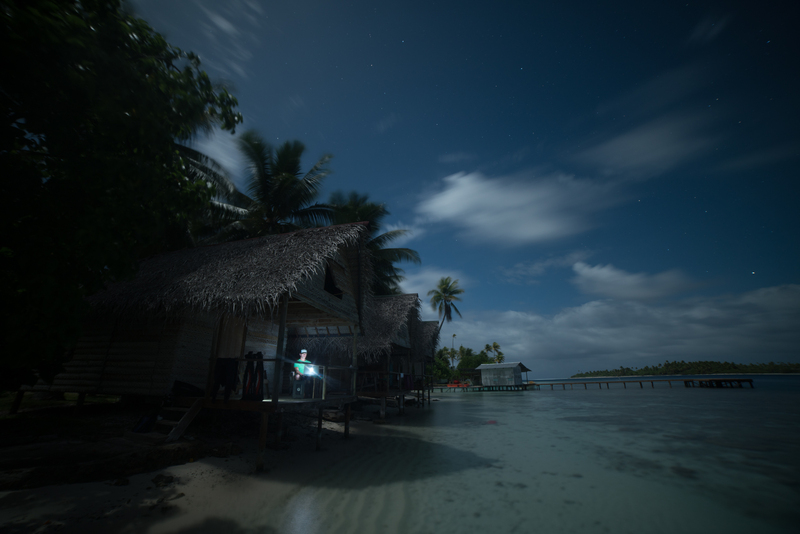 While you may return home with thousands of gorgeous photos, don’t forget to make some memories and bask in the bewilderment of how places like Tahiti and Fakarava still exist in this day and age. 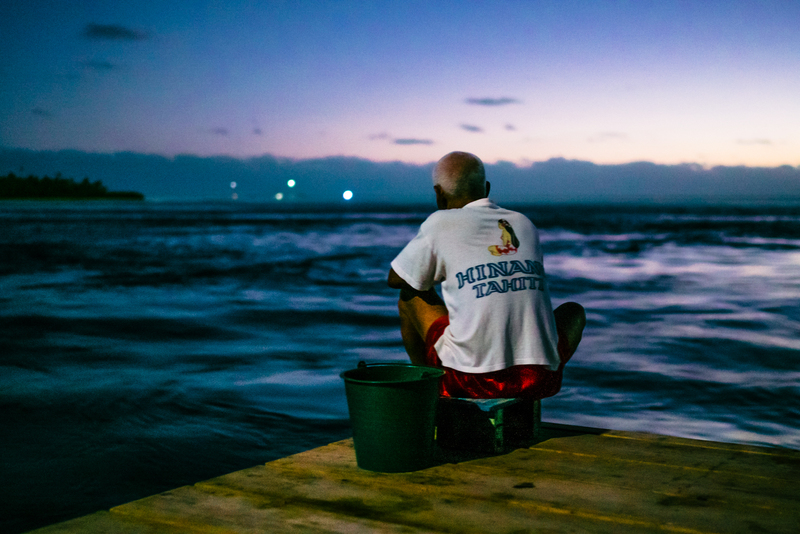 When we arrived in Tahiti, we envisioned telling the stories of the local people we met along the way. But what we didn’t know is how easy this would be. 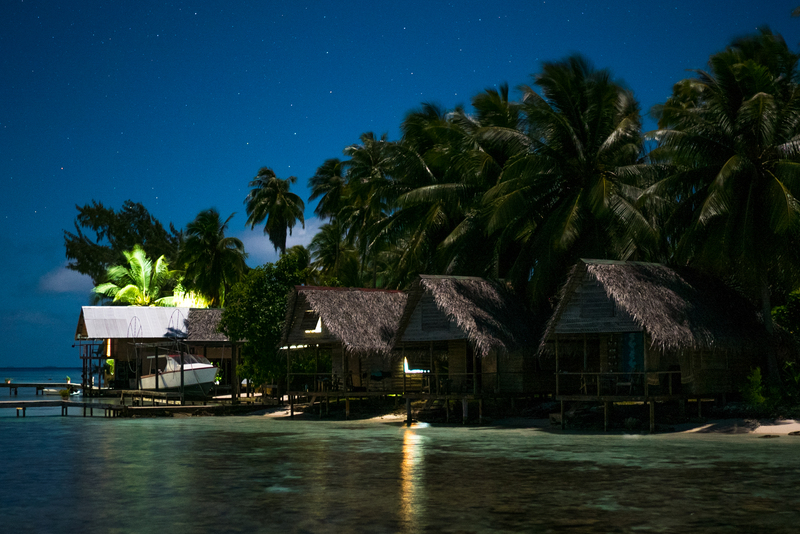 Tahiti is filled with energetic people who live a relaxed life and have beautiful stories to complement it. 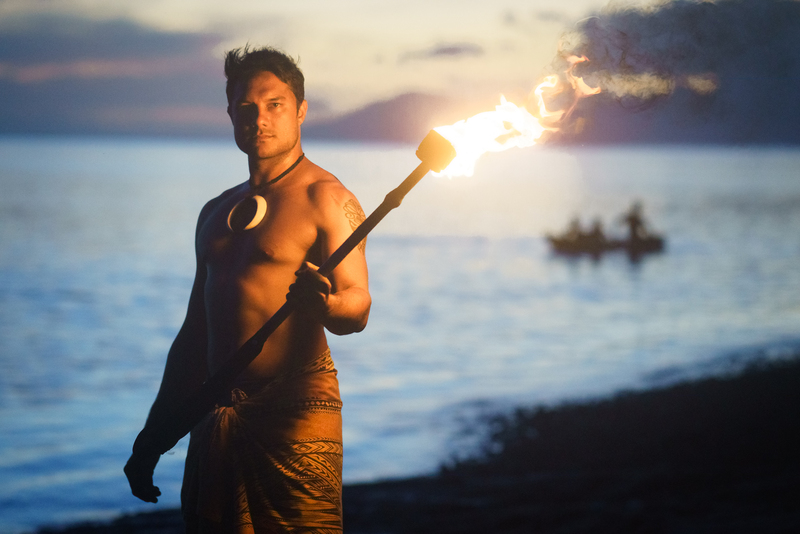 They’re truly a culture of passion, whether it’s surfing, spear fishing or fire dancing. Yet we found that one thing stood higher than all the rest. 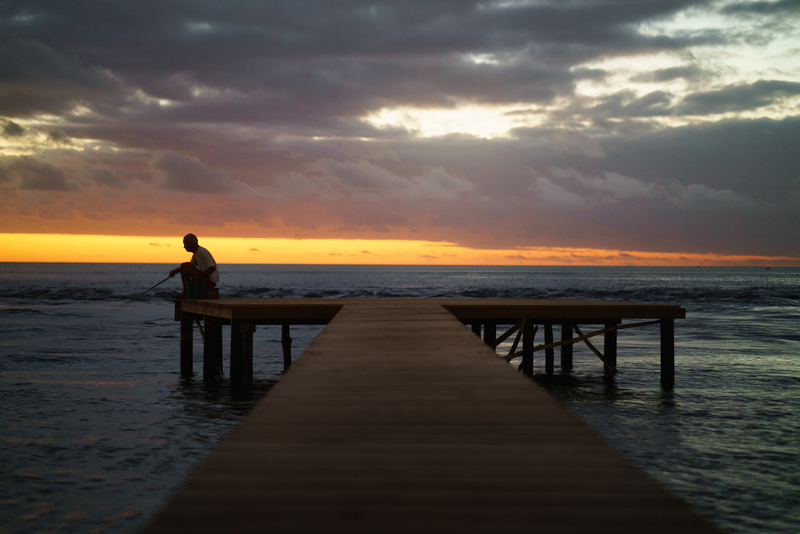 By far, the people of Tahiti are most stirred by their homeland and culture. So stop and ask everyone you meet why they’re proud to be Tahitian. Just be prepared to open your ears and listen for a little while.